Community to Hold a Silent March and Candle light Vigil for the 2nd Year Anniversary of Lilly Aramburo’s disappearance. Why: It’s been exactly 2 years since Lilly vanished. We need to find Lilly and we need the person(s) responsible to be brought to justice! 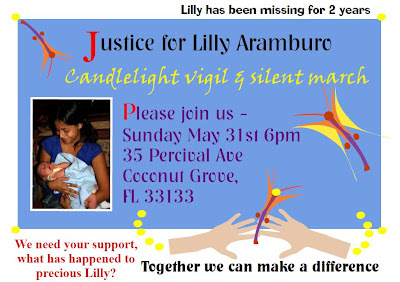 Sunday May 31st, the South Florida community is invited to attend a candlelight vigil and silent march in memory of my friend, Lilly Aramburo, a young mother missing from Miami since 2007. Beginning at 6pm (Eastern time), Lilly Aramburo’s mother, Lucely will lead the crowd in a Justice for Lilly silent march in front of the house it is believed Lily may have lost her life. The purpose of the silent demonstration is to grab the public’s attention for a short time on the two year anniversary of Lilly’s disappearance to make everyone aware that Lilly is still missing, and we are still looking for answers. We understand that Lilly isn’t the only loved one that’s missing. There are many missing persons in South Florida and thousands across the country. We are remembering them and their families on this special occasion, as well. Anyone with a missing loved one is urged to attend the event and bring a photo or flyer to share. Let us stand together in solidarity. Family and friends will peacefully deliver a powerful message to Miami Dade Police Department that Lilly deserves justice, she deserves to be found. Lilly has not been forgotten by her family and friends and she shouldn’t be forgotten by the community where she lived. We’d like to see Miami Dade Police take meaningful action. Please show your support by joining Lilly’s family and friends. Help us seek JUSTICE FOR LILLY! I realize few of you (loyal readers) live in the Miami area, if you are unable to be there in person, we ask you to have Lilly in your thoughts and prayers while the vigil is going on. Please join us in spirit by lighting a candle for Lily (where ever you are). But to those who live in South Florida, we’d love the chance to see you in person to thank you for your support and commitment to finding Lilly these past 2 years. Although it will be a very hard day for all of us, spending it together will help us heal in a small way. Visitors are welcome to bring a candle to light for Lilly but it is not required. Please RSVP via Facebook or if you’re on Twitter, you can RSVP below. Media is encouraged to attend. Nita’s reply was a complete surprise. As you can see, the exchange was short and sweet. A few hours later, the flyer was done. It was that easy and carefree. So, if it’s a personalized greeting card or gift you need to help brighten someone’s day, please consider Nita Joy Craft Design. If you tweet, you can follow Nita on Twitter. And finally, I’d like to thank Staples for donating flyers for Lilly. Thank you, Staples!! We appreciate all of your support. Help us spread the word. Pass on the link to this post, tweet it, invite your friends on Facebook and email your network, if you have a blog inform your readers. We need your support now more than ever. Hope to see all of you on Sunday, May 31st! Emillie Hoyt is MISSING. She vanished without a trace January 2006. She may have traveled to Fort Lauderdale from Highland Beach, FL. 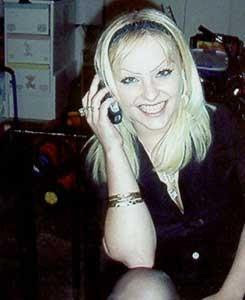 Please to take a good look at her picture and go to the Flickr Missing Persons Group to see more pictures of Emillie. Her family needs to know the truth. No one vanishes into thin air. Someone out there has to know something. Please do the right thing and come forward if you know anything about Emillie Hoyt’s disappearance. Contact Det. Bob Devito at 561-266-5800. You can help find Emillie by joining her Facebook Group and adding as a friend on myspace. If you use Twitter, you can follow @emilliesbrother. As you could imagine, they are desperate to find Emillie. The holidays are especially difficult for families dealing with the loss of a missing loved one. Please don’t forget about them. All missing persons deserve to be found. Check out this article on Mom Logic about media bias as it relates to race and missing children. I really appreciate their mention of the good works by Black and Missing But Not Forgotten. A blog dedicated to those that are missing and black. Thanks for all you do, Deidra! Unfortunately, there are many who say they are dedicated to missing persons, but none focus on missing minorities in general. As stated by the Media Bias article, “Thousands of kids go missing each day — so why do we never seem to hear about the African-American children?” Great question, Mom Logic! Thanks for bringing this issue to the forefront. 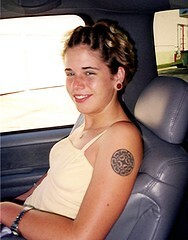 Thankfully, a few media outlets have covered the disappearance of missing 20 year old Heather “Kitty” Riggio. 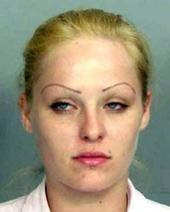 Heather, a petite blonde, was last seen wearing a pink top, jeans and high heels. On the afternoon of May 6, 2007 she left her family’s house in North Miami Beach and got into a white SUV, police say. She has never been seen since. The Miami Herald wrote a good article about it on today’s paper. They have published a series of about 8 or 9 articles about Heather’s disappearance. You can find those articles in the Miami Herald archives. The writer, David Ovalle, included information about the Kid Finders Network. Miami residents and businesses, please support Kid Finders Network. They desperately need corporate sponsors. Or if you are able to make a donation, you can do so by credit card or paypal safe and securely here. Please visit their website for more information. Their work is crucial to finding Heather and so many missing loved ones. They also seek volunteers to drive the mobile billboard. From the moment I met Sherri and Dennis Millstead from Kid Finders Network, I immediately saw their devotion and personal sacrifice to find the missing. Dennis, kindly offered us a neat little gadget called Safety in a Flash. With Safety In A FLASH you can create missing person flyers, and it has the capabilities to export these files to police or missing person’s bureaus. Safety In A FLASH is highly recommended for the Elderly and those suffering with Alzheimer’s. Here’s a handy screen shot. I think it’s a great idea! Every single parent should have one for their kids or elderly parents. You can store birth certificates, pictures, fingerprints, etc. You can order one today for only a $65 donation to Kid Finders Network. Trust me, your family is worth it. Here’s another article and video about Heather on CBS4. (The link is no longer active) And another on WSVN including video. You can find more information about Heather Riggio’s case by doing a Google search. There’s over 26,000 pages of search results. “We want as many people as possible to see her picture and know her story..But we need help..we need people to donate gas money and driving time to keep the billboard running..PLEASE contact Sherry @ 561-333-2779 if you can do anything..anything at all helps..thanks a lot, Lisa”. Heather’s family is torn up and suffering dearly for the return of their precious “Kitty”. See more pictures of Heather here. If you have any information, anything at all, please contact North Miami Beach Police at 305-949-5500.